Through its recently created Crescent Club, the Franklin County Genealogical Society has passed the halfway mark of attaining its goal of raising the $50,000 necessary for the renovation of the adjacent building on Main Street to expand its facilities and to better serve the community. 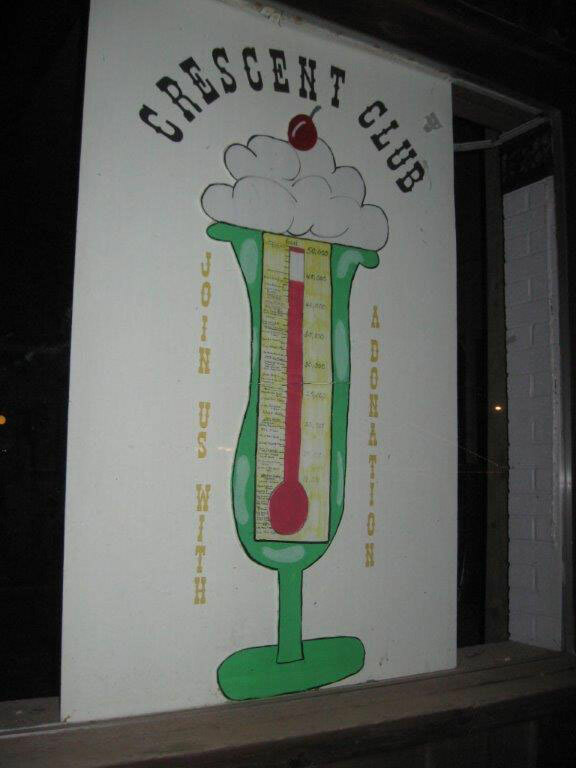 Named for the drug store that once occupied the space, the Crescent Club was formed October 7, 2015, by the FCGS Board of Directors, offering memberships to the first 50 individuals or families to donate $1000 to the Building Fund since the date of the Club’s inception. Presently, just under half of those memberships are still available. 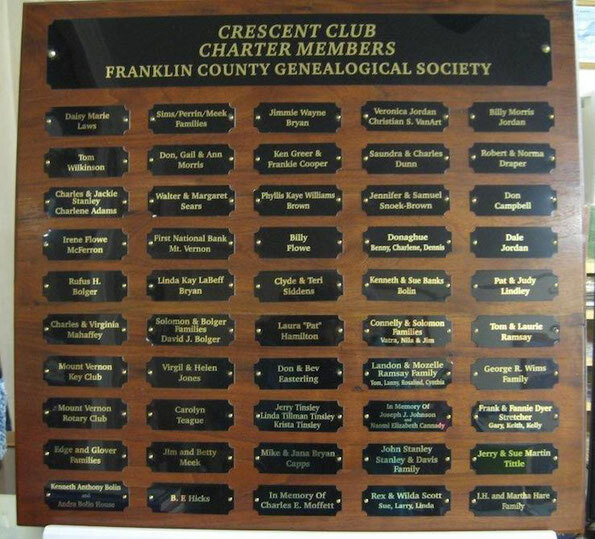 A Crescent Club plaque engraved with the names of the individuals or families will be permanently displayed to honor the generosity of the donors as well as their contribution toward the continued maintenance and development of downtown Mt. Vernon. 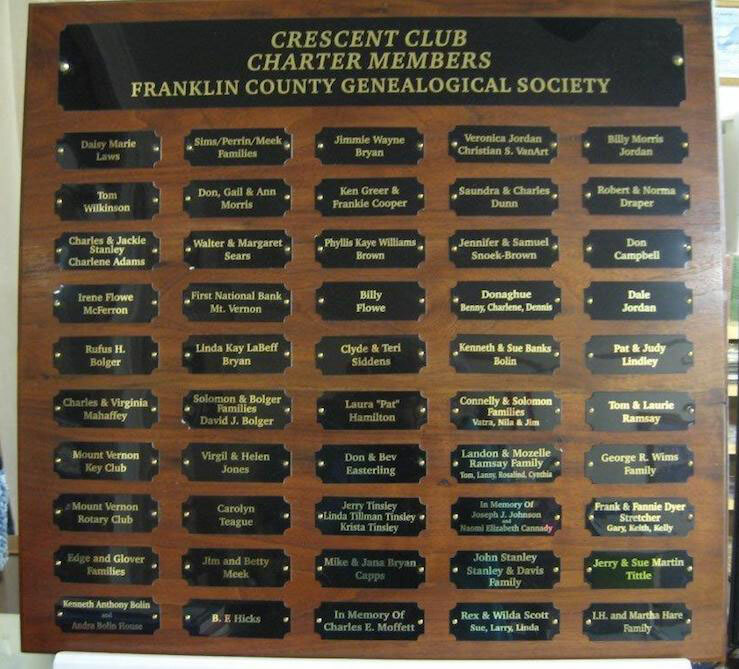 Crescent Club members will be able to choose the name to be engraved on their plaque. 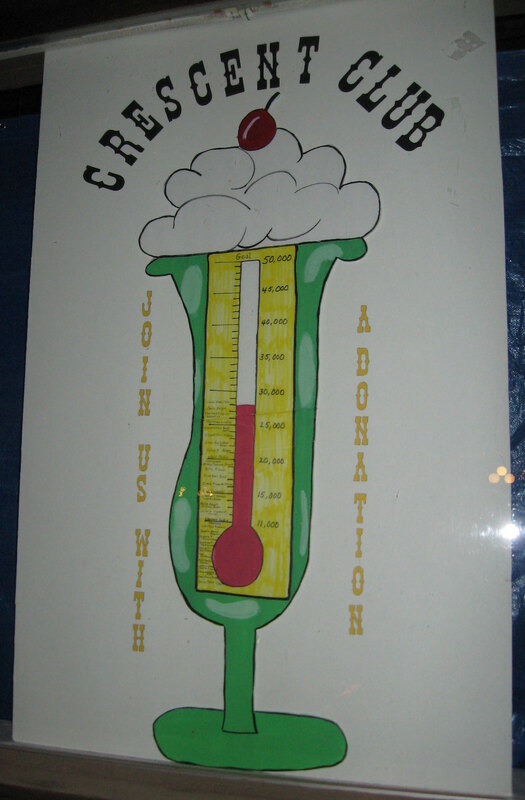 Because FCGS is a 501(c)(3) organization, the donations will be tax deductible. The new facility will provide more storage and workspace not only for FCGS, but also for members of the public who come in to do research. In addition, it will include an area for meetings of clubs or groups who have a need for such a venue. The expansion will also give FCGS the necessary space to offer seminars or workshops focusing on genealogical research. The seminars will be conducted by experts in the field and open to the public. 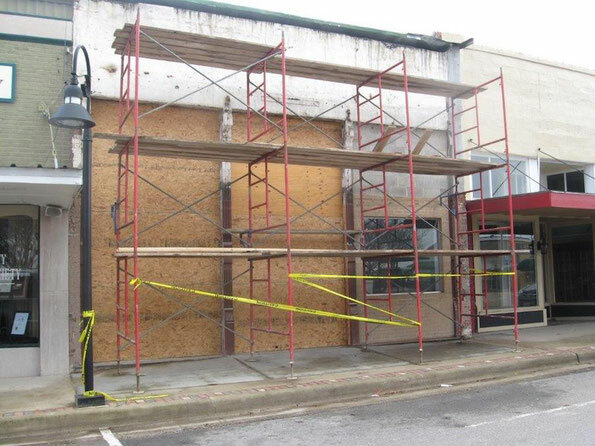 “Keeping our downtown area alive is always a worthy cause,” she added. The facility is open to the public six days a week and manned entirely by volunteers. To apply for one of the remaining memberships in the Crescent Club or for forms or more information, call 903-537-3931 or stop by FCGS’s present location at 110 East Main Street. A copy of the form is also available below.